Brigadier General Donald J. Campbell was Deputy to the Chief of Air Force Reserve, Headquarters U.S. Air Force, Washington, D.C.
General Campbell was born in Detroit, Michigan, in 1919, and attended Salmon P. Chase Law School in Cincinnati, Ohio. He entered active military service as an aviation cadet in December 1941, shortly after Pearl Harbor, and received his pilot wings and commission as Second Lieutenant at Stockton, California, in 1942. In July 1942 he went to the Asiatic-Pacific Theater of Operations where he flew 274 combat missions in P-38, P-39, P-40, P-47, P-51, and P-61 aircraft. In November 1944 he returned to the United States and was assigned to the West Coast Fighter Training Sector. In April 1945 he was transferred to the China-Burma-India Theater of Operations. Following World War II, General Campbell was sent to Wright Field, Ohio, where he served with the Directorate of Officer Personnel for Air Materiel Command and later with the Army Air Forces Demonstration Team. He was a team member and an operations officer and designed a few maneuvers for the team. In December 1946 he left active military duty and became a member of the Air Force in inactive status. In September 1951 he assumed command of the 910th Air Reserve Training Wing at Cincinnati, Ohio, with the primary duty of organizing the wing. When organized, the wing moved to Clinton County Air Force Base, Ohio, received its aircraft, and was redesignated as the 302d Troop Carrier Wing. In June 1952 the wing was reorganized as the 302d Tactical Airlift Wing and equipped with C-119 Flying Boxcar aircraft. 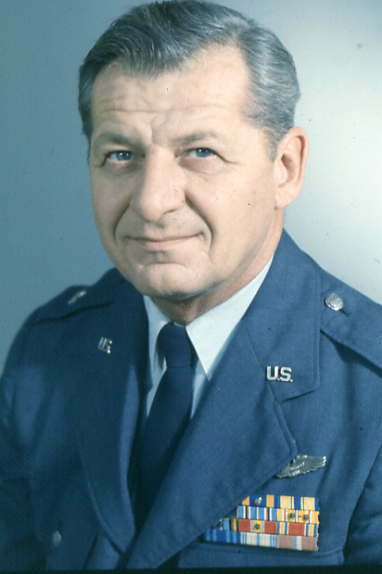 General Campbell continued duty as commander of the 302d Wing and in July 1961 assumed additional duties as commander of Clinton County Air Force Base when the base was transferred from Strategic Air Command to Continental Air Command. In 1970 the wing was redesignated as the 302d Special Operations Wing. While serving with the 302d Wing, General Campbell was responsible for conducting the Air Force Reserve mission and providing training in the operation and maintenance of the C-119 aircraft for members of foreign air forces under the Military Assistance Program. Under his leadership the 302d tested the gunship concept in the C-119 aircraft and provided the first squadron to fly the AC-119 in combat in Southeast Asia. The wing has trained many U.S. Air Force members who later served in Southeast Asia as AC-119 gunship pilots, aircrew members, and support personnel. The wing also trained aircrew and maintenance personnel of the Republic of Vietnam air force, Ethiopian air force and the Moroccan air force. 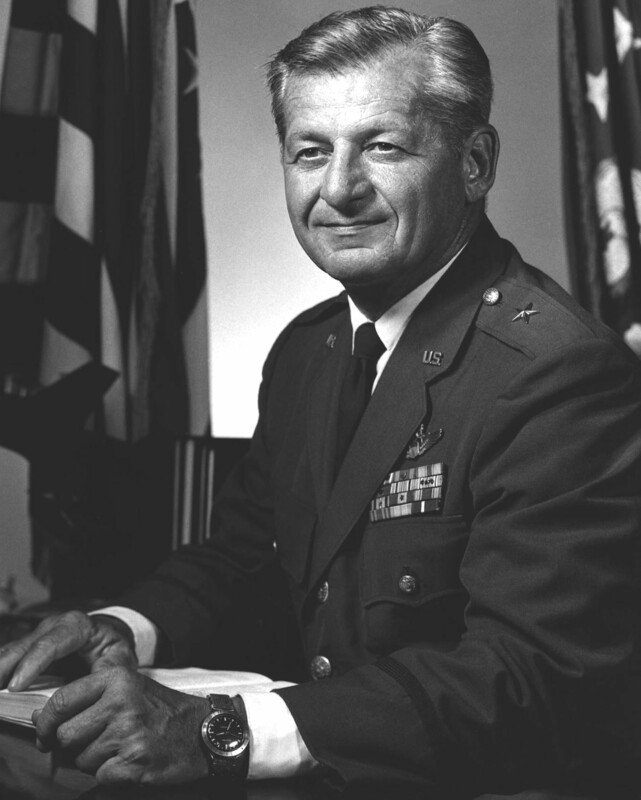 General Campbell returned to active military duty in June 1970 as deputy to the chief of Air Force Reserve. He has served as member of the Air Force Reserve Forces Policy Committee; adviser and former member, Tactical Air Command Air Force Reserve Forces Policy Committee; national committeeman, Reserve Officers Association; president, Department of Ohio, Reserve Officers Association; member, Reserve Officers National Affairs Committee; and member, Community Council, Wilmington, Ohio. His military decorations and awards include the Distinguished Flying Cross with two oak leaf clusters, Air Medal with five oak leaf clusters, Air Force Commendation Medal, and the Distinguished Unit Citation Emblem. He was promoted to the temporary grade of brigadier general effective February 28, 1963, with date of rank May 20, 1963.